Sailingdipity: "What if?" Safety First! As we are nearing our departure date my anxiety is getting worse. I have the nervous feeling of "what if? "Due to these feelings, this last week I chose to focus my projects on our safety equipment. A lot of you have been asking if we have this equipment or have shared your concern of us traveling outside of immediate assistance. These different tools are helping to keep us safe if these situations occur. There are three items that are helping me feel a little more at ease; our life raft, EPIRB and SPOT satellite tracker. 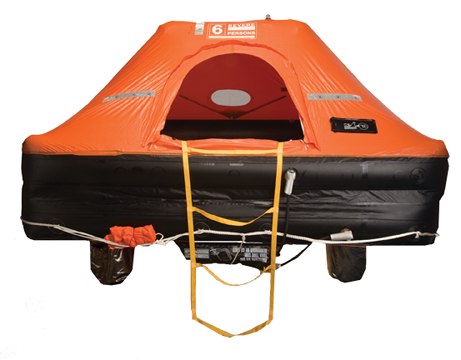 a vacuum bag that deploys as a life raft when triggered. It is equipped with essentials that may be needed in an emergency. It has a required service once every 3 years. Servicing the raft can be a little costly but it is very important to keep it up to date and useful if it is needed. We dropped off our raft and it has been serviced so it is ready to go. Even though it was a big chunk of change, it puts me at ease that we are prepared for the situations I do not even want to think about! Second, our EPIRB (Emergency Position Indicating Radio Beacon). 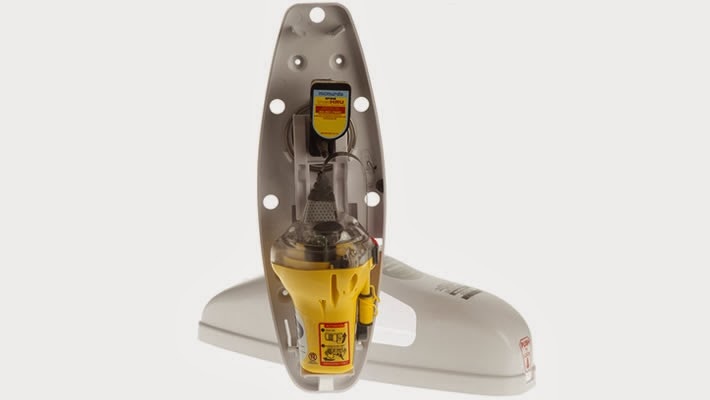 An EPIRB is used to alert search and rescue services if their is an emergency. It transmits a message via satellite to the closest rescue center. It is activated automatically following an incident or it can also be manually activated. I renewed the registration for our designated beacon with NOAA (National Oceanic and Atmospheric Administration). To register our EPIRB we provided contact information, as well as information about our vessel it is being used on. Our emergency contact information, boat description etc. is all up to date and ready for use if needed. Third, and most exciting thing is our "SPOT Satellite Tracker". I find this to be a wonderful tool. It is great to have in case of an emergency, and also just for fun! Jake bought our SPOT a while back but we had delayed registering it due to an annual fee. This week I registered our device and it is working great. With the SPOT tracker we can send satellite messages updating you on our exact location, so you can follow us along the way! It also has a help feature that allows us to send an "in need of help" signal to those who are tracking us, which would be used in situations where immediate assistance isn't needed. Also it is equipped with a 911 feature, which when activated sends a satellite message to the nearest rescue center requesting immediate assistance. 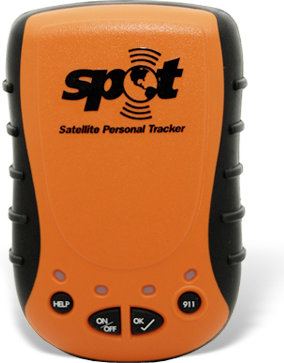 This tracker does seem to do the same thing as an EPIRB, however we are able to carry this one on our person, when the EPIRB will stay with the boat in case of emergency. Our spot will travel from land to sea. I just recently added the link to the "Where Are We?" tab on our blog where you are able to follow us as we travel and find out in real time where we are. Once we leave I will be updating this hopefully once a day, the site only shows the messages from the last 7 days. So to those of you who have been worried about our safety, these are just a few tools that will keep us in touch and on the map. Researching, registering and becoming more educated in these items has given me a sense comfort for our journey. I am excited to use the tracker and excited for all of you to follow us through out our travels! What other things do you think will come in handy in an emergency? I watched "All is Lost" and couldn't stop thinking about you. I didn't want to say anything because I didn't want to make you anxious. How are you on fresh water? What about signal flares? I'm glad to see the safety equipment you have. It relieves some of my anxiety too. I'm excited to hear about your adventure!